Bubby Makes Three: bm3 in the press! Hello peeps! This is my first check-in for the week... I've been down n out with the dreadful lurgy and had my head buried in a bucket for the better part of two days... I've also been inundated with Xmas wreath orders -- I actually need to source more rings as I've sold every one I could get my hands on! Loving doing something a bit different though. Anyway, I had to pop quickly by and share with you some press - some magazine press - bm3 has received this last week! 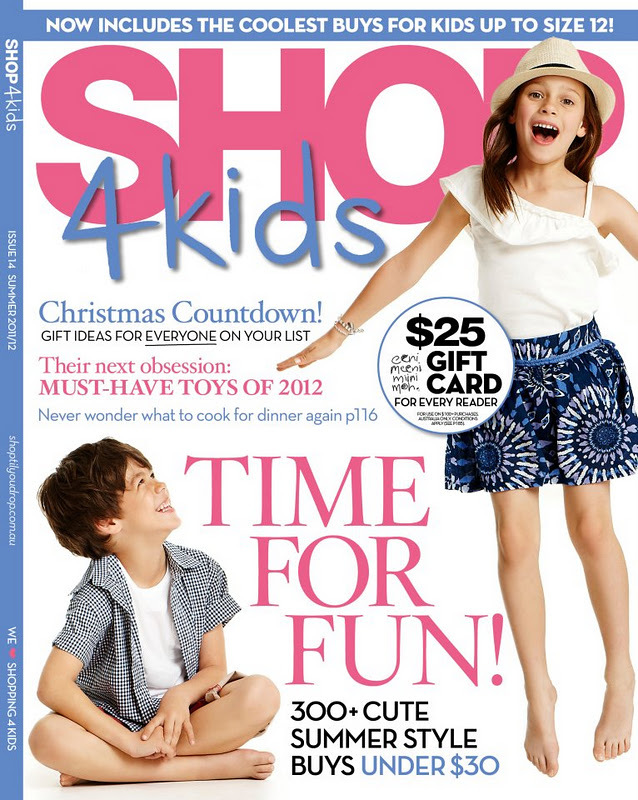 Check out page dddd of the Summer edition of Shop4Kids! I am very excited, not the least because my work is in a magazine but because the lovely Danielle from Shop4Kids actually contacted me out of the blue and asked if they could use my baby boy bow ties in their photo shoot! I buy every issue of Shop anyway for the kiddy eye-candy and shopping inspiration so I am thrilled thrilled thrilled to be included. dreadful pic - taken with my iphone! 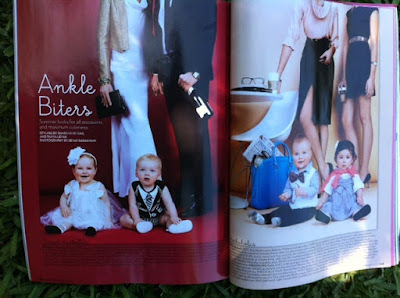 Check out the kid on the right page wearing his bm3 bow-tie! I really woudnt even have a business without the support of the handmade community... so thankyou!! I picture these being sported by little boys (and their dads?!) at santa photo shoots, end of year concerts and parties, christmas parties and everywhere in between! Dan and Elliott will be wearing their matching their matching reindeer bow-ties for their santa photo next weekend! $14 each (or 2 for $25 -- just message me) and giftwrapped as per last pic. I have a very sweet little boy and girl's onesie and singlet coming later today to my store. Oh how I love Christmas!! That is SOOOOO exciting! There is nothing like the thrill of opening a mag and seeing your handy work in there is there. So proud of all you've accomplished so far with bm3. I will have to email you as I am in love with that red and white striped bow tie. I'm going to order one for Will to wear on Christmas day - tooooooo cute! He always gets comments when he wears his blue and green one. Congratulations - and get better soon. Congratulations!! How exciting! They are adorable! So glad I have found you from DP.